Features SOUNDWORK by Milena Droumeva; FORUM: NAMING by Imogene Lim, Gikino’amaagewinini, Kirsten Emiko McAllister, Davina Bhandar, and Lorraine Weir; A REVIEW ESSAY by Julia Polyck-O’Neill; ARTICLES by Kate Dubensky and Helen Raptis, Penney Clark, and Peter Wylie; NEW MEDIA REVIEWS by Allison Adler and Carleigh Baker; and Reflections on Rethink150 for THIS SPACE HERE by Crystal Przybille on behalf of the Rethink150 Collective. Allison Adler recently completed a masters degree in Anthropology with a concentration in Museum Studies from the University of British Columbia. She is primarily interested in how Latin communities are incorporated into museums in the United States and how these communities challenge the borders drawn around their identities through art, material culture, and everyday actions. Carleigh Baker is a Cree-Métis/Icelandic writer and MFA student who lives as a guest on the traditional, ancestral, unceded territories of the Musqueam, Squamish, and Tsleil-Waututh peoples. Her work has appeared in Best Canadian Essays and The Journey Prize Anthology. Her debut story collection, Bad Endings (Anvil, 2017) is now available. Davina Bhandar is an adjunct professor in the School of Communications and Department of Gender, Sexuality and Women’s Studies, Simon Fraser University. She is also co-director of the Centre for Policy Studies in Culture and Communities at SFU. Davina is currently the principal investigator of a project examining the labouring lives of South Asians in British Columbia. She is co-editor of “Too Asian?”: Racism, Privilege and Post-Secondary Education in Canada (Between the Lines Press, 2012). She is co-editor of Charting Imperial Itineraries: Unmooring the Komagata Maru (under contract with UBC Press). She works in the areas of democracy, theories of citizenship, migration, carcerality, surveillance, borders and critical race studies. Penney Clark is a professor in the Department of Curriculum & Pedagogy at the University of British Columbia. Her research is located at the intersection of cultural history, business history, education, and publishing. She is editor of New Possibilities for the Past: Shaping History Education in Canada (UBC Press, 2011) and co-editor, with Mona Gleason, of Historical Studies in Education/Revue d’histoire de l’éducation. Kate Dubensky is a doctoral candidate in Social, Cultural, and Foundational Studies in the Faculty of Education at the University of Victoria. Her dissertation employs a settler colonial analysis to examine representations of national identity in public school curricula. Kate holds a BA and MA in Political Science. Gikino’amaagewinini nindizhinikaaz. Mahkwa niin nindoodem. Obizhigokaang nindoonjii. documents as sources of inspiration and research. Kirsten Emiko McAllister grew up in Nanaimo on Vancouver Island and is now an associate professor at Simon Fraser University. Her research focuses on cultural memory, visual studies and place. Julia Polyck-O’Neill is an artist, curator, critic, and writer, and is a doctoral candidate in Brock University’s Interdisciplinary Humanities program (Culture and Aesthetics), where she is completing a SSHRC-funded interdisciplinary and comparative critical study of contemporary conceptualist literature and art in Vancouver. She teaches in art history and visual culture, and from 2017-18, is a Visiting Lecturer in Cultural Studies in the department of American Studies at Johannes Gutenberg University in Mainz, Germany. Helen Raptis is an associate professor of educational history in the Faculty of Education at the University of Victoria. Her research interests focus on minority learners in British Columbia. 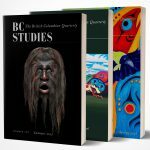 She is the co-author – with members of the Tsimshian nation – of What We Learned: Two Generations Reflect on Tsimshian Education and the Day Schools (UBC Press, 2016). Lorraine Weir is currently completing a booklength oral history of the Tsilhqot’in Indigenous title and rights case in collaboration with Chief Roger William and the Xeni Gwet’in community. She teaches Critical Indigenous Studies in the English Department, University of British Columbia where she is a Professor. Peter Wylie is an associate professor in the Department of Economics, Philosophy and Political Science of the I.K. Barber School of Arts and Sciences, University of British Columbia, Okanagan Campus. He is past Head of the Economics, History, Philosophy, Political Science and Sociology Unit of the Barber School. He holds a BSc (Econ) from The Queen’s University of Belfast and an MA and PhD in Economics from Queen’s University at Kingston, Ontario. He is a long-serving elected member of the UBC Okanagan Senate and currently holds such a seat for 2017-20.